There has never been a Sunday without hot piping idlies and mutton curry for Sunday breakfast. I had already posted Mutton curry using coconut which Amma makes. 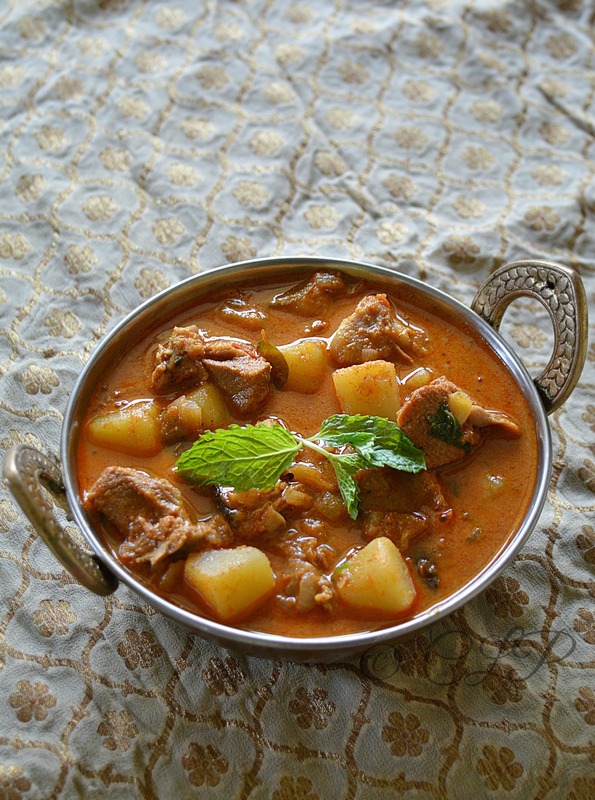 This curry is almost similar but the taste is quite unique and light since I have used coconut milk. This curry goes well with appam, idiyappam, idly, chappathi, parotta, poori white rice and so on. I have heard that there is a Kerala Mutton curry using coconut milk, the same recipe can be done but with the addition of coconut oil instead of refined. Serving suggestion - Appam, idly, white rice, poori, parotta. 1. Peel the potatoes and cube them, in a saucepan of boiling water add the potato pieces let them cook until 80% done. Discard the water and set aside. 2. In a pressure cooker add mutton pieces, 2 cups water, turmeric powder and garam masala powder. Mix well and pressure cook for 8-10 whistles until tender. 3. In a wide pan or kadai, heat the oil. Add in the whole spices one by one Bay leaf, cinnamon stick, cardamom, cloves and fennel seeds once the spice release aroma add in the onions and sauté for 3 minutes until they brown. 4. Tip in the ginger garlic paste and mix well with the onions, let it cook until the raw smell goes away this takes 2-3 minutes. 5. Add all the spices - red chilli, kashmiri red chilli, coriander, cumin/jeera and salt. Give this a good mix and add the puréed tomato pulp. 6. Let the tomato mix well with the spices and cook further for 2 minutes until the masala base is thick and cooked. 7. Now add in the cooked mutton pieces and half the mutton stock (from pressure cooker). Add the 80% cooked potato pieces. Mix well add in salt and check for spices. 8. Let this boil and cook for 5 minutes. In the meantime prepare coconut milk. 9. Add in the coconut milk and turn the heat to low-medium and let it cook covered for 5 minutes. 10. Reduce the flame further and cool covered for 5 minutes until the oil separates. 11. 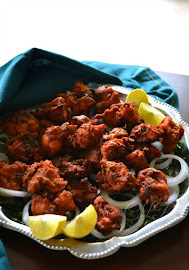 Garnish with mint and coriander leaves. Serve warm. 1. Make sure the mutton/ goat/ lamb is pressure cooked before adding them to the gravy base. I usually pressure cook for 10 mins/ 8 whistles or hisses. Do not add salt while pressure cooking it helps in cooking the meat fast. You can prepare a lovely mutton soup with the left over mutton broth. 2. You can add any curry masala to the curry that you like but I usually like to add my own proportions of chilli powder and coriander powder. 3. Adding mint and coriander leaves adds flavour to the curry. 4. This curry is more light and a little watery compared to mutton kurma/ coconut paste version. 5. 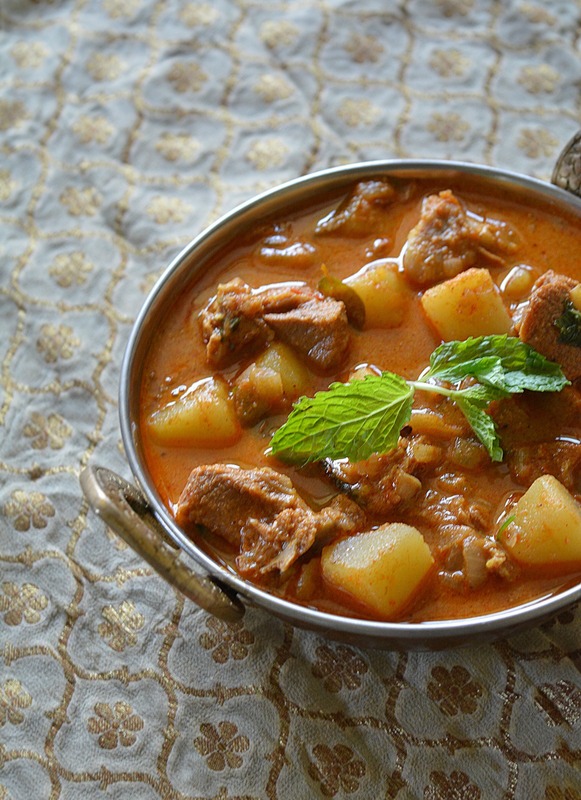 Adding potatoes adds more flavour you can skip it if you do not like potatoes in mutton curry. I strongly recommend it. 6. 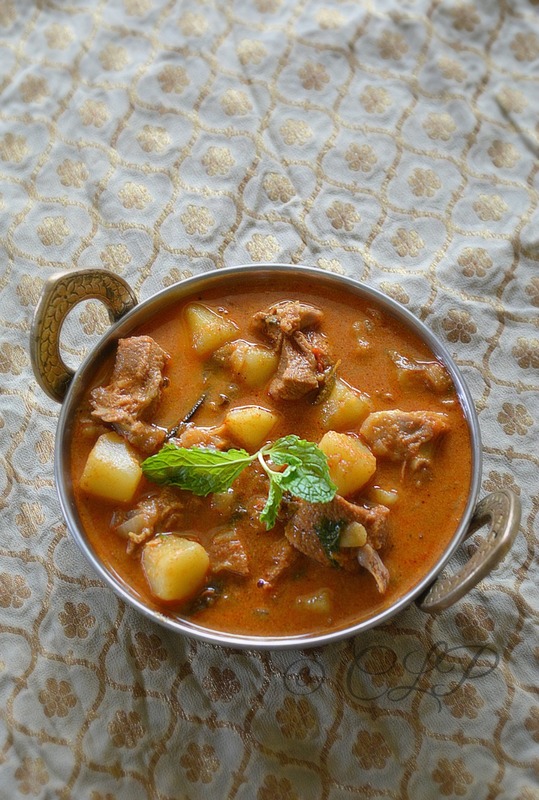 For a Kerala version of mutton coconut milk curry use coconut oil and follow the same recipe. 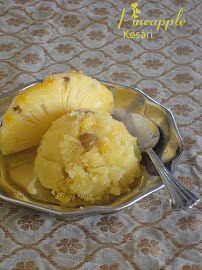 slurrp...loved ur all NV recipes...keep going!! love what coconut milk does to any gravy. such a creamy delight. Droolworthy mutton curry. 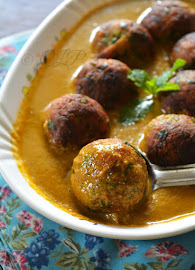 Loved this creamy gravy made with coconut milk. 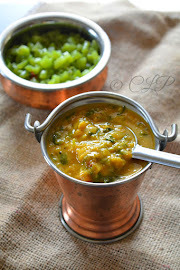 Very colourful and delicious korma, just some rotis is enough to have along with. Wow!!!! 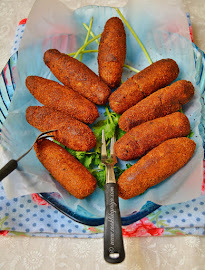 looks so delicious,never tried it with potato,will try it soon. My favourite! Its so delicious. Sure taste awesome with paratha. We made this today for lunch. It is really good. The meat did not have much flavour though. Hoping it will come through by dinner time. Thank you.